Firing A 20 MM Bullet Through A Lamborghini Is Totally Normal, Right? The target? Watermelons. Not the Huracan. Do you ever get the feeling that rich people sometimes have way too much free time on their hands? Well, this Lamborghini Huracan owner does. For whatever reason (more Likes and channel subscribers, perhaps?) 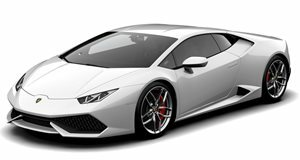 he felt it necessary to fire a 20 mm caliber round through the interior of his Lamborghini Huracan, windows open of course, in order to shoot a watermelon target. This wasn’t something done lightly; watching the owner nearly have a panic attack just prior to firing the fateful shot is pretty hilarious. But honestly, we’d be panicking too. Just look at the size of the 20 mm round and imagine for a moment all sorts of damage it’d do to the car, not to mention a living being. Our Lamborghini sharpshooter here rightly even wondered whether or not his insurance company would cover the costs of any potential damage. Really? There’s no way in hell any insurance company would accept a claim for something as dumb as this. Given all that, we have to admit the idea of firing a large caliber bullet through a six-figure Italian supercar solely to explode a watermelon is pretty cool. We wouldn’t have the guts to try this, so mad respect to this guy.